Put down the instant pudding mix. 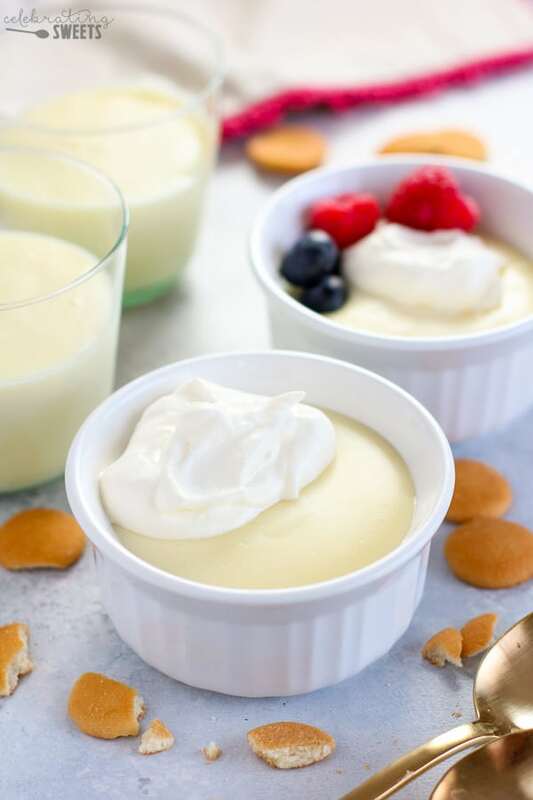 This creamy and flavorful Homemade Vanilla Pudding couldn’t be easier or more delicious! 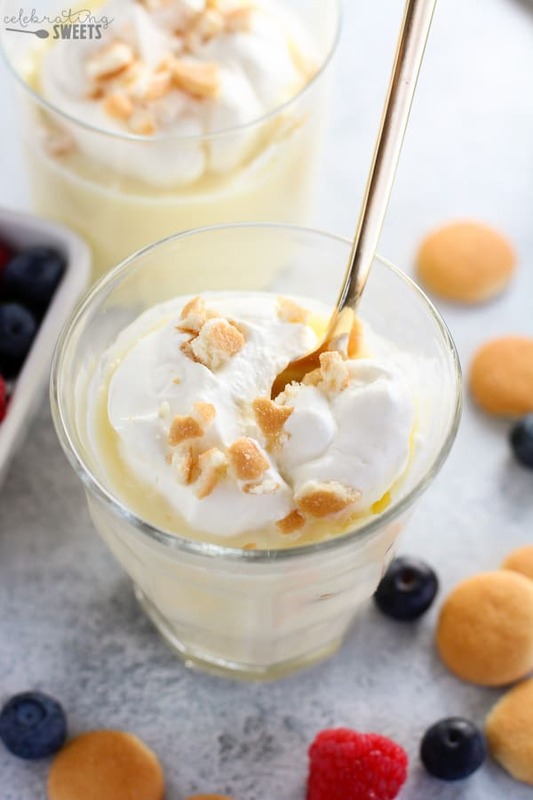 Serve this pudding on its own or with cookies, berries or whipped cream. VIDEO below. It’s time homemade pudding gets the attention it deserves. Pudding has to be the most underrated dessert ever. 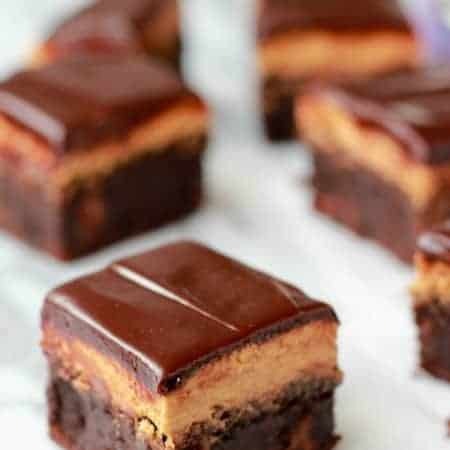 It’s not as fancy or decadent as a pot de crème, mousse, or crème brûlée. It’s comforting, nostalgic, and uncomplicated, and that’s what I love about it! If you have only ever had boxed/store-bought pudding, you are missing out. Yes, this takes a little more effort than peeling back the foil on a plastic cup, but once you taste this, you will never go back to that stuff again. You probably have most (or all?) of these ingredients in your kitchen right now. Check out how easy it is. PREFER CHOCOLATE PUDDING? CLICK HERE! Milk: Whole milk is the base of the pudding. Feel free to swap up to 1/2 cup milk for half-and-half for a richer pudding. Sugar: Regular granulated sugar sweetens the pudding. Nothing fancy here! Thickener: Egg yolks and cornstarch thicken up the pudding. It will thicken as it cooks on the stovetop, and it will continue to thicken as it cools in the fridge. Vanilla extract: This is what makes our pudding taste like vanilla. Use the best extract you can get – its flavor is coming through in every bite. Butter: Just a touch of butter is whisked into the hot pudding. This adds a touch of richness that takes this pudding over the top. Don’t skip it! The pudding ingredients get whisked together and cooked on the stovetop for about 10 minutes. Then strain it and place it in the fridge to chill. Easy peasy! One of the fabulous things about homemade pudding is its versatility. You can serve it on its own, or you can pair it with berries, whipped cream, cookies, or sliced bananas. 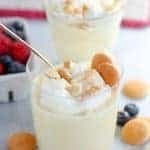 It’s great layered in a trifle, or topped with fruit sauce. Note: you can also just place a huge bowl of pudding in your fridge and steal a bite (or two) every time you open the fridge door. ← Not a bad idea. 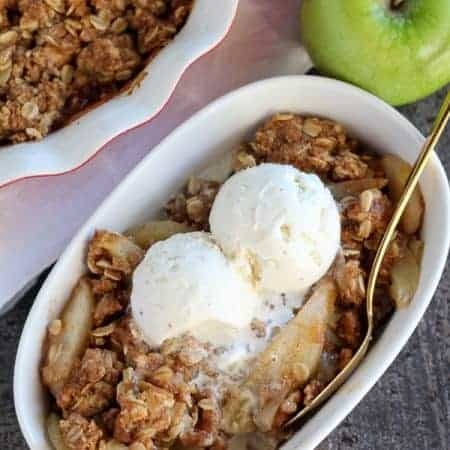 This is a classic, comforting dessert that I come back to time and time again – and I hope you will too! Put down the instant pudding mix. 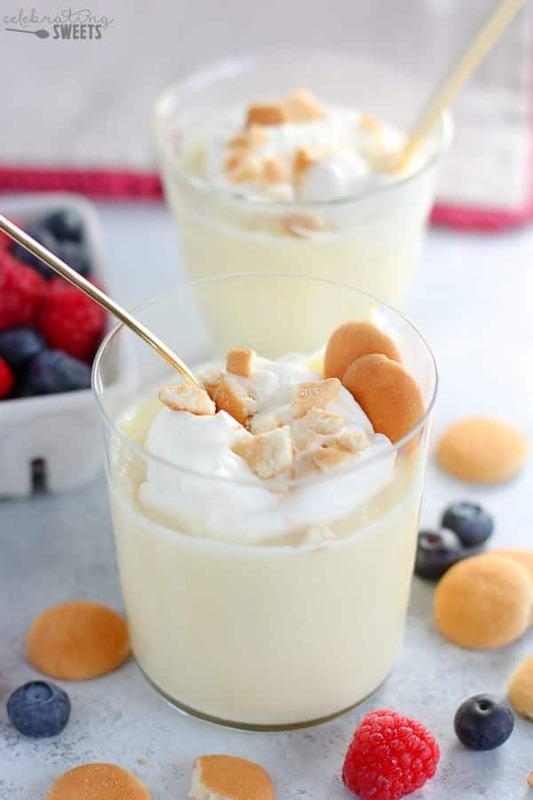 This creamy and flavorful Homemade Vanilla Pudding couldn't be easier or more delicious! Serve this pudding on its own or with cookies, berries or whipped cream. In a medium saucepan whisk together sugar, cornstarch, salt, milk, and egg yolks. Cook over medium-low heat, alternating whisking frequently, until the mixture is bubbling and thickened, about 8-10 minutes. Note: It will thicken more as it cools. Remove from heat and whisk in butter and vanilla extract. Place a fine mesh strainer over a large heatproof bowl. Pour the mixture through the strainer and into the bowl (Optional, to remove lumps. If you have no lumps, you can skip this step). Transfer the pudding from the large bowl into individual serving bowls. Cover with plastic wrap. Refrigerate for several hours until chilled. Swap out 1/3 cup milk for 1/3 cup International Delights Simply Pure Vanilla Creamer, for a stronger vanilla flavor. Hi, Cynthia. I’m not sure. I would guess that maybe you could use the “saute” function, as a substitute for simmering on the stovetop, but I haven’t tried it. This is a quick and easy stovetop recipe, so speeding it along by “pressure cooking” is unnecessary. I hope it works out for you. Thanks for stopping by! This pudding turned out great! And very easy to make. Thank you for your recipe! I’m happy to hear that! Thanks for taking the time to comment. Just made this after looking for a quick, delicious treat. It’s REALLY good. 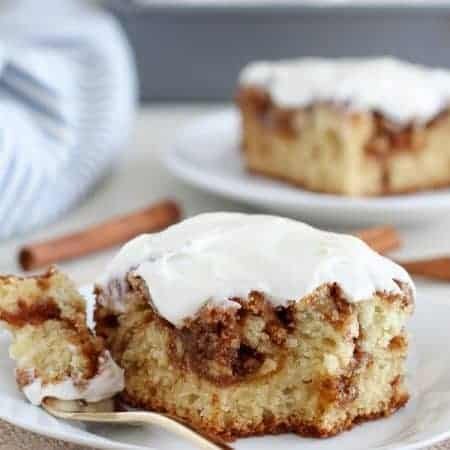 I cut the recipe in half AND I added cinnamon at the very end. Nice little bowl of warm sweetness. Thanks!